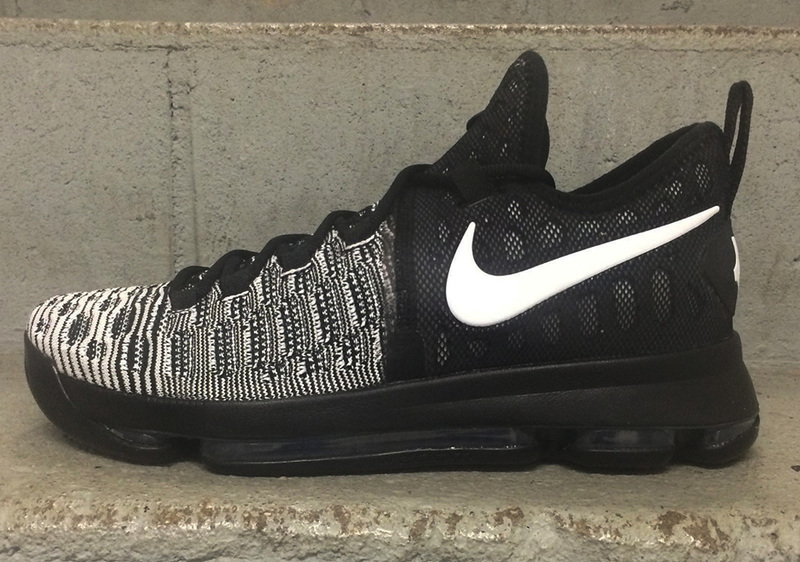 Kevin Durant stressed the importance of including Flyknit in his ninth signature shoe with Leo Chang and Nike Basketball after being envious of Kobe’s woven styles for the past few seasons. 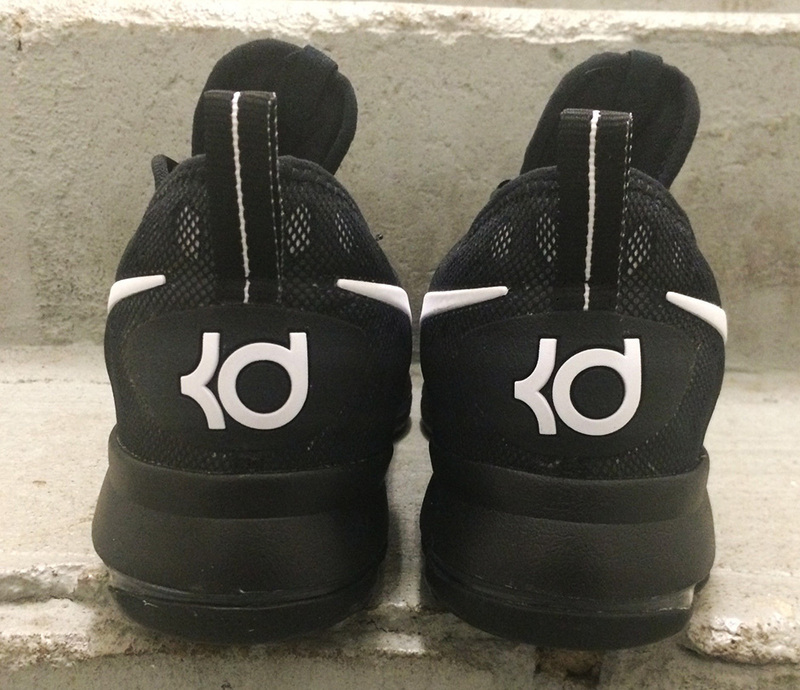 (You can read more of our latest interview with Durant here). 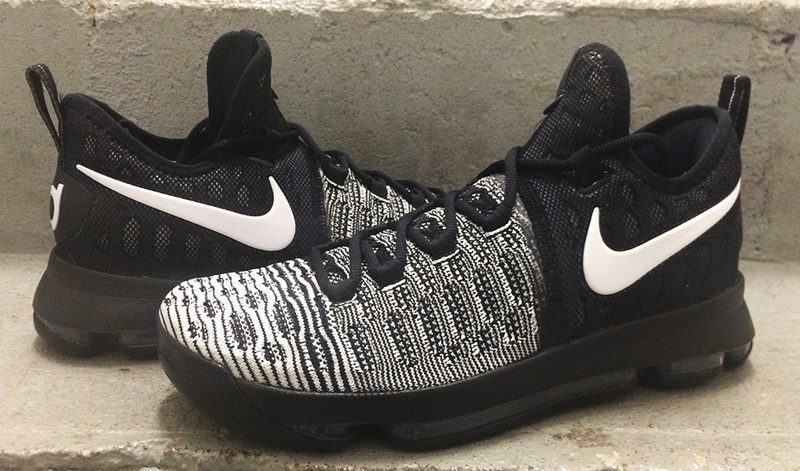 Not only did the Swoosh respond with the first Flyknit pair of KDs ever in the Nike KD 9, but the brand also dropped the price down to a very manageable $150 USD which is sure to make this model a hit both on and off the court throughout 2016. 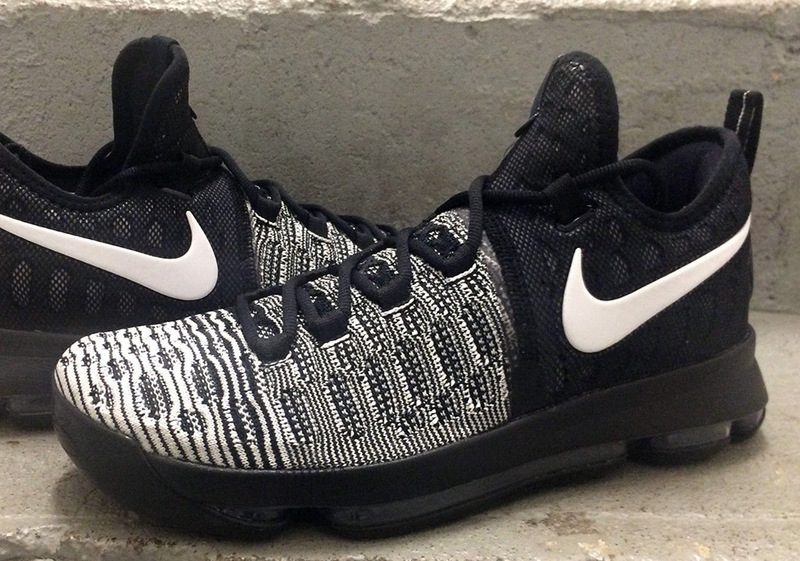 Today we get a look at the upcoming KD 9 “Oreo”, a pair that brings back the familiar high-contrast black and white Flyknit look featuring a 50/50 split of solid black by the heel and a marbled mixture of both shades on the forefoot and toe. What do you think of Kevin’s latest signature? 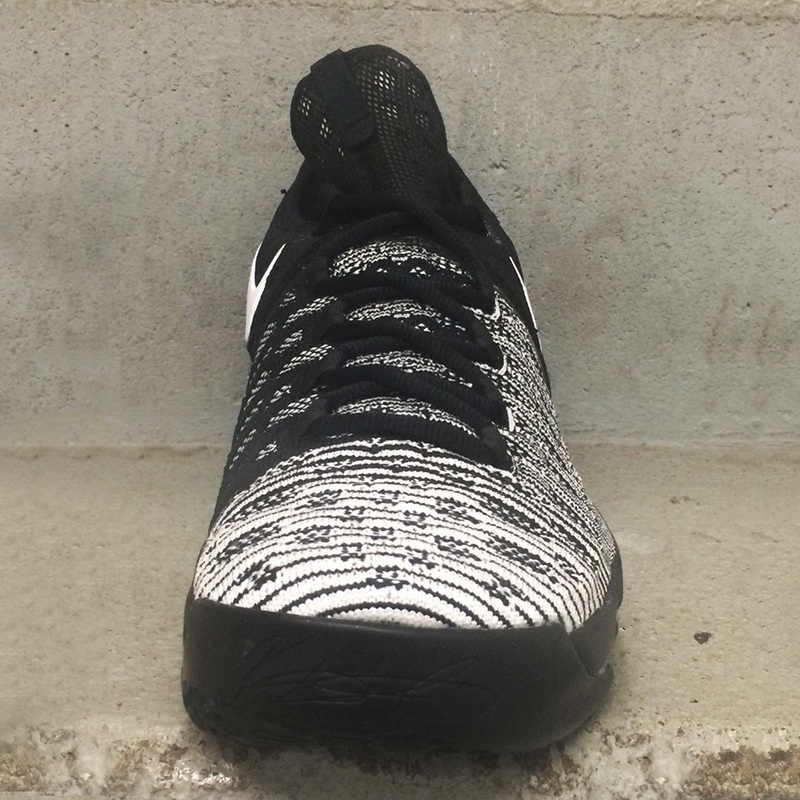 Check out a detailed look below and while a release date isn’t available just yet, select sellers on eBay have this pair in stock right now.